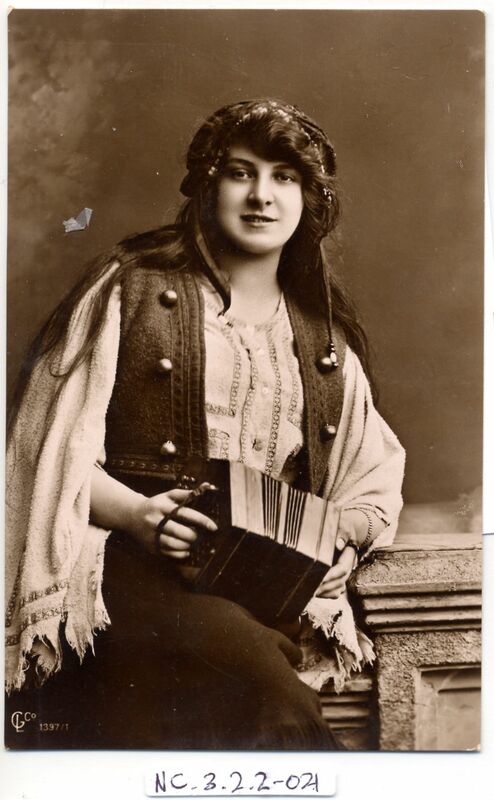 Full Description: Postcard of Germanic girl dressed in Romany-style� waistcoat, shawl and bonnet, holding (with the keys unfortunately under her palms rather than her fingers!) a plain hexagonal German multi-bellowed Anglo. 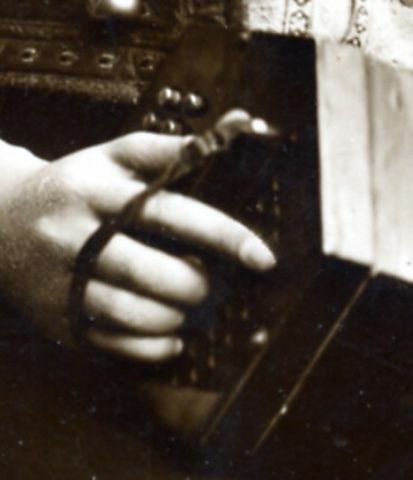 The sepia-photo card is stamped to the front "LG Co 1397/1" and the divided rear is stamped "Post Card" in many eastern European languages. Postally un-used.